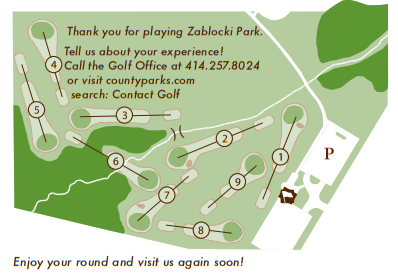 Zablocki is the shortest golf course in the Milwaukee County Parks system, with 9-holes all under 117 yards. Bring a wedge or short iron, putter, a few balls, and leave the rest of the bag at home for this course. No tee times are needed, tee off on a first-come, first-served basis. Add a replay round and play 18 holes for $11! 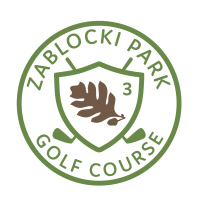 Play unlimited golf at all Par 3 and Executive courses, including Zablocki Park, with Adult and Junior Annual Passes, starting from $100 for a junior pass. Try FootGolf in your parks, the cross between soccer and golf! The objective of the game is to advance a regulation size 4 or 5 soccer ball from the tee box into the 21-inch-diameter holes cut into the rough in the fewest number of kicks. 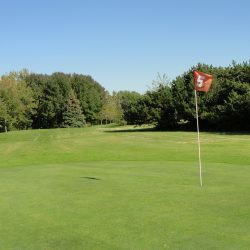 FootGolf holes are indicated with orange tee markers and orange flags. Great for people of all ages and abilities! 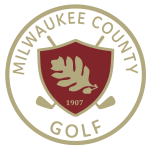 Milwaukee County’s courses are accredited by the American FootGolf League. NOTE: When the standard golf course has closed for the season, and no frost or snow is on the ground, you can still play FootGolf when you bring your own soccer ball — just use the self-pay station! Be sure to keep your envelope stub as proof of payment. (available during the standard golf season Wed-Sun 10 a.m.-6 p.m.) No ball rentals are available after close of the standard golf season. Play is on a first-come, first-served basis. Each player in your group must have clubs, including a putter. Rental clubs are available. Spectators or non-players are NOT allowed on the course. The only exceptions are those people authorized by the Parks Dept. or caddies performing caddy duties. You must inform the golf starter if you will be using a caddie. If the caddie is discovered golfing, both you and your caddie will be asked to leave the course. You must wear suitable attire. Shirts are required. Non-metal spikes, alternative spikes, or spikeless shoes are required. NO carry-in food or beverages are allowed. Keep your payment receipt with you. When an attendant is not directly available, you must use the Self-Pay Station. Obey all hole- and course-closure signage. Remain with your group throughout the round. Groups of more than 4 are NOT permitted. Play one ball at a time. NO re-play of any shots. Do NOT play your shot until all golfers and/or golf course staff are out of range. Please yell “FORE” if there is any chance that a ball might endanger another player or staff. Keep your cart off the green and out of the area between a bunker and the green. Replace all divots, rake all footprints in bunkers, and repair all ball marks on the green. Display proper conduct at all times. If you violate the rules or disturb other guests with obnoxious behavior, damage to the course, refusal to let the next group through, failure to follow course design on a hole-to-hole basis, or other disruptive behavior, you will be asked to leave the course. Return all rented clubs, bags, and pull carts to the starter. Report all accidents or injuries to the starter immediately. If conditions warrant—as determined by the starter—he/she will issue a raincheck if you present your receipt during the time of interrupted play. The self-pay system allows Park attractions to remain open to the public at times when Park staff is not directly available to collect fees. The system is monitored throughout the day. Take a self-pay envelope provided at the self-pay station. Complete all information requested on the envelope. Detach and keep the envelope stub as your receipt. Be prepared to present your receipt when asked. Place the appropriate cash payment in the envelope, seal it and deposit it in the pay slot of the self-pay station.